Welcome to our regular round up of ‘choice’ singles, EPs and odd tracks, plucked from obscurity in many cases or, from the peripherals at least. This week’s picks include A.J. Holmes And The Hackney Empire, Dennis Bovell, Esperanza Spalding, Band Of Gold, Hologram Teen and Mark McGowan. Bringing the sauntering rhythms of the Congolese rumba and the South African sunshine pop of the Boyoyo Boys to London A.J. Holmes and his Hackney Empire liven up what could be a dampener of a love affair, caught in a stalemate, on their latest EP ‘Just Retribution’. Wooing audiences for a while now with their infectious brand of Afro-pop and multi-limbed blurting funk, they continue to match idiosyncratic foibles to an eclectic mix of genres on their this trio of songs. Lifted from the second album Soft Power, its shimmering opener features alongside two versions of the Cat Stevens meandering ‘Mein liebster Feind’ – the chorus inspired by a Mark Twain quote – and the thumping funk guitar sleazy disco of ‘GLA’. Holmes and his ensemble add a splash of polygenesis colour to that infamous English dry wit as they move from requited to unrequited to re-requited love. 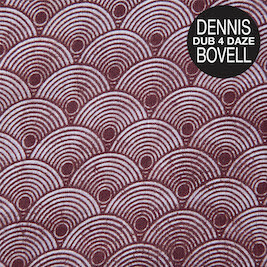 Dropping a reverberating echo from across the highly influential back catalogue of renowned dub and reggae producer, musician and songwriter Dennis Bovell, Glitterbeat Records teases us with the opening master cut, ‘Eye Water’, from the upcoming tributary Dub 4 Daze compilation. Leaving his Barbados home in the mid sixties at the age of twelve to live in South London, Bovell soon became an integral part of the Jamaican cultural scene, setting up his Jah Sufferer sound system – which brought him to the attention of not just his admirers but the police who locked him up for six months on remand; though he would be subsequently released on appeal – and forming the class reggae group Matumbi. As a producer he has worked with a stunning line-up of talent, including Fela Kuti, Marvin Gaye and Ryuchi Skakamoto, The Pop Group, The Slits and Orange Juice. Fellow dub explorer Adrian Sherwood, who’s own highly influential On-U Sound label helped reshape the post-punk scene during the 80s, has called Bovell “…the most important man in UK reggae…a legend.” High praise indeed. Recording some seminal classic dub albums over the years both under his own name and the pirate moniker Blackbeard, Bovell was asked to contribute to Glitterbeat Records Dubs & Versions I experiment in 2014. He lent a certain shimmering hallucinating groove to those desert blues and rock songs by Samba Touré and Tamikrest, and merged his Jamaican dub roots almost effortlessly with West Africa. Now with a dedicated homage assortment of previously buried away archive dub mixes and a few newly mixed cuts made from re-explored earlier recorded material, the Dub 4 Daze LP promises soulful roots, down-tempo brass, 3D mysticism and space echo abstractions galore from a true craftsman. 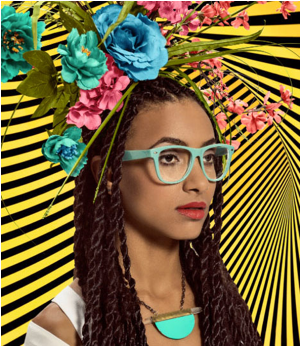 Returning with her most ambitious panoptic music project yet, Grammy award winner and jazz star polymath Esperanza Spalding playfully mixes her dreams with a kooky childlike spirit on her forthcoming Emily’s D+Evolution album. Happily vague on the concept behind her latest album and tour, which has been working its way around the UK recently, Spalding has opened her mind up to new musical ideas. Though she originally came to prominence for her double-bass and electric bass guitar skills and unique take on jazz, it sounds like she is now just as keen to adopt a more diverse range of influences; merging elements of modern R&B and the 70s songwriting craft with Prince, John Legend and Stevie Wonder. Unraveled and in some cases amplified tenfold to create the sophisticated bombast pop you hear now, the homemade demos of singer/composer and multi-instrumentalist Nina Elisabeth Mortveldt aka Band Of Gold have grown from raw ideas into polished productions on her debut LP. Working alongside and in conjunction with producer Nikolai Hængsle Eilertsen, who has turned in some cases one-string guitar melodies and Prince samples into something approaching epic pop, Nina has a nice sheen added to her eclectic mix of ideas. The first single to be dropped into the internet void ‘Parade’ takes its cue from the driving, rolling toms splashes of Miami; emerging as it does from a garbled tunnel of screeching vocal noise into Scandinavians on tour in Florida circa 1984. Never letting up, always in motion, beckoning the listener on, the crescendos build and dissipate over four and a half minutes of riding pop. This will do as a starter before that LP next month. Released a week or so later than its true destined date, surely, Halloween, the Hologram Teen’s latest vaporous dry ice machine offerings once again bring schlock and “zombi” to the Horror Europa dance floor. The alter ego of one-time Stereolab kosmiche traveller Morgane Lhote, the Parisian keyboard player has spent the past decade moving around, leaving London for a stint in New York before travelling to L.A. Hardly resting on her laurels, Lhote spent time in The Projects, Garden and with members of Simian Mobile Disco/ Simian before embarking on her own brand of eclectic electronica as the Hologram Teen in 2012. A ghoulish treat for a bewitching hour at Studio 54, Lhote’s double-bill pits the Italian gore fest composers Fabio Frizzi and Goblin against a disturbed but silly bestial electro Yello on ‘Post-Apocalypteacakes’, and digs up some Gallo pomp and stabbing synth for the John Carpenter ‘Tracksuit Minotaur’. Kooky electronica for the most outrageous Italio-house graveyard set, making moves in the club whilst the world burns in eternal damnation, its decent enough fun. 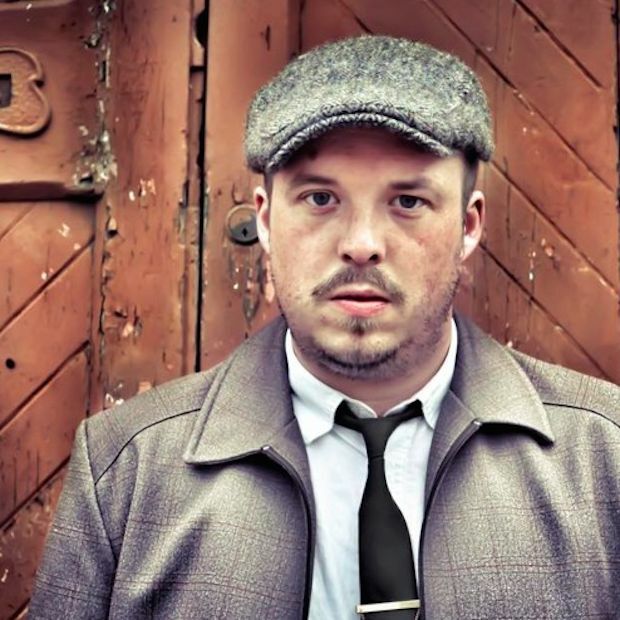 In the grand tradition of the Glasgow earnest maverick troubadour, the flat cap adorned talent Mark McGowan elevates his music above the daily grinds and toil of his famous native city and yearns for the gritty deep soul of the American south. Whilst acoustically nearer to the fingerpicking complexities of such notable contemporaries as Fionn Reagan, and the downplayed vocal articulation of Damian Rice, McGowan sounds more attuned to the earthy gospel of Otis Redding, whom he has covered recently on the venerable organ backed ‘These Arms Of Mine’. Ordinarily this would be sacrilege, but it’s a faithful and accomplished take and shows why the Glaswegian singer/songwriter is starting to draw some favorable attention nationally. With nothing more than a build up of multiple technical and nuanced acoustic guitar lines and the occasional thump or shuffle of a drum for a backing, McGowan composes a pretty atmospheric and full-bodied sound to his sagacious songs. Currently doing the rounds his double-bill of charismatic tunes ‘Bonnie & Clyde/Colour Of Surrender’ twang with evocations of the American dust bowl. The former uses the romanticized outlaw lovers as a metaphor for a more intimate and closer to home relationship musings; the other is a more Country twanged, earthy up-tempo number that hints at tragic melodrama. These two songs are nothing less than rustic nuggets and should at least help propel McGowan into the mainstream.